Northbank Home Inspection offers certified radon testing for Vancouver, WA and Portland, OR areas that follows the Environmental Protection Agency’s guidelines for radon testing. Minimal inconvenience — the test requires “closed-home” conditions, which means keeping windows and doors closed, except for entry and exit. Additional radon mitigation and management recommendations from a certified radon inspector. Radon — a naturally occurring radioactive gas — is the second-leading cause of lung cancer. Although it’s a dangerous health hazard, it has an easy and simple remedy. You can’t see or smell radon, but if your live in or around Vancouver, WA chances are you may be exposed to radon levels exceeding the EPA’s safety recommendation. Radon is responsible for the highest number of lung cancer cases after cigarettes. And, if you smoke, the compounding effect with radon can dramatically increase your chances of lung cancer. Most radon-induced lung cancer is linked to the strong combined effect of cigarettes and radon, according to the American Association of Radon Scientists and Technologists, which states that radon is responsible for 21,000 lung cancer deaths every year in the United States. The EPA estimates 14,000 of those deaths are from residential radon exposure. A professional radon inspection and certified radon testing and monitoring of your home is the first step to knowing your exposure level and limiting it. Make it harder for radon to get in. Make it easier for radon to go somewhere other than your house. Increase air exchange with the outside to remove the radon. In Clark County, radon exceeds EPA recommendations in one in four homes. Like other carcinogens, there is no known safe level of radon exposure, according to the EPA, which sets the bare minimum safety standard of radon levels below 4 pCi/L (picocuries per liter); the World Health Organization recommends levels below 2.7 pCi/L. In Clark and Skamania counties, the average predicted indoor radon screening level is greater than 4 pCi/L. 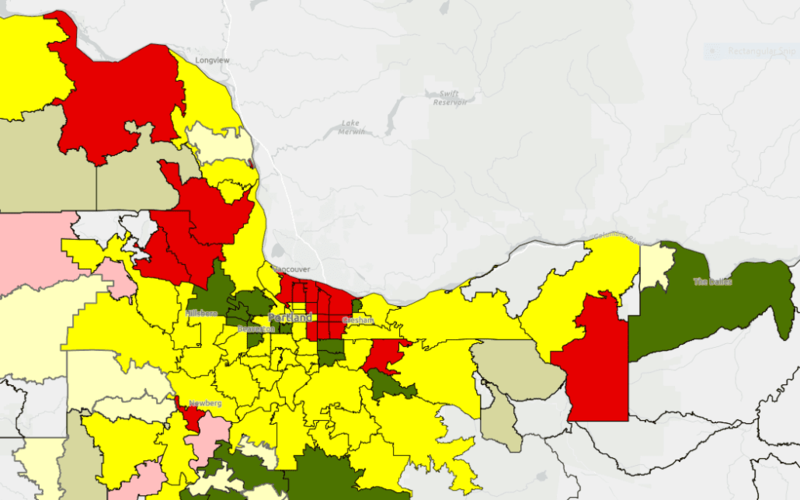 Areas throughout the Northwest have particularly high radon levels — rocks and soil pushed down from the melting glaciers in the Missoula flood plains long ago deposited significant amounts of Uranium, of which radon is a radioactive byproduct. Regardless of where you live, the EPA recommends all houses be tested for radon — no exposure to radon is safe. Luckily, radon remediation and mitigation is easy with the simple steps discussed above. Radon mitigation systems can dramatically reduce radon in your home to near 0 pCi/L. 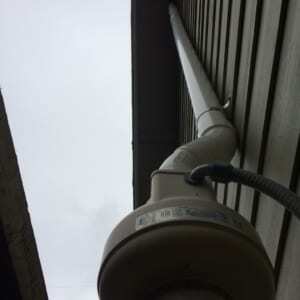 Best practices recommend installing a radon reduction system — essentially a vent with a powered fan — which can be completed in a few hours and cost between $1000-$2000, depending on the house. This is where, as a buyer, you may be able to bargain either having a system installed prior to purchasing or ask for a reduction in price so you can have a system installed after the purchase. Radon mitigation can also be used as a future marketing tool for sellers, advertising the safety features of their home. 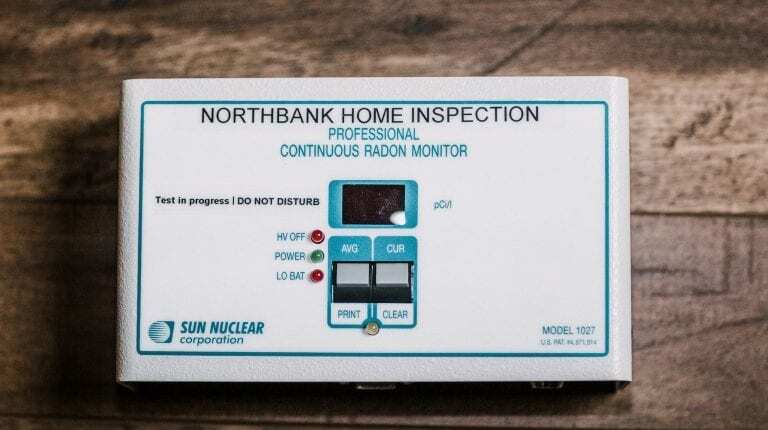 In addition to installing a mitigation system, a Northbank radon inspection can recommend other measures that can further reduce radon in your home. You can have your home tested for radon during a home inspection or as a stand-alone service.